At 12mm thick, the Symbian-based C5 (no relation to the promising car of the future ) features an extremely slim build, which makes it easy to slip into a pocket. Look at this phone side on and it's liable to slip into the sub-atomic realm and become invisible to human eyes. At 112mm tall, it's also an extremely long handset, which is a very, very good thing. "Why?" we hear you ask. 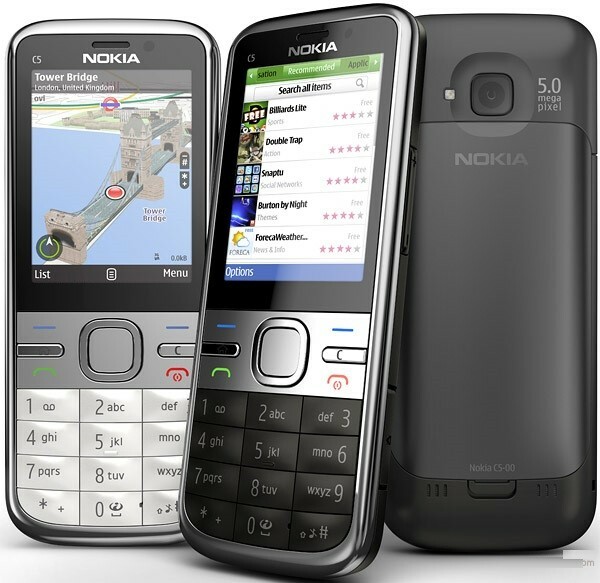 Nokia C5 is filled with plenty of ways to keep you connected to your friends & family. Share life as it happens, with Nokia C5 keep in touch with the important people in your life on the move. Use instant messaging, email & easily check your Facebook profile & update your status. The convenience of maps & navigation, pics sharing, music, web browsing, messaging, social networking – Nokia C5 is a Classic beauty providing easy access to things that bring you closer.